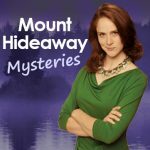 Mount Hideaway Mysteries is a family-friendly murder mystery TV series now airing on Amazon Prime and Paid Streaming. The show is filmed in Northern Virginia and Virginia’s Shenandoah Valley with an all-local cast and crew. www.MountHideaway.com. The pilot episode was released under the title “Mount Hideaway”. 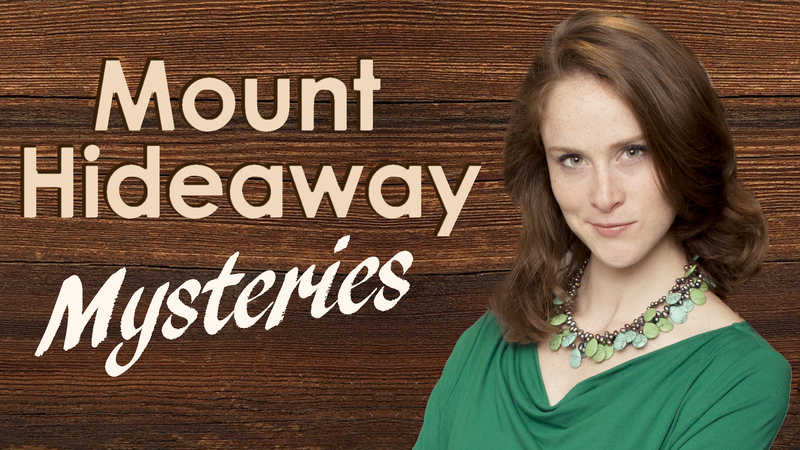 After airing for over six months and tens of thousands of views, the concept was re-worked and will now be airing as “Mount Hideaway Mysteries”. The story is based in a fictional small town in Virginia’s Shenandoah Valley, just outside a classified government facility. Bethany Shanholtz, a beautiful young government operative, must investigate a series of murders and mysteries without any “official” help from her agency.. She’s also hampered by the fact that this is her hometown, and everybody there remembers her as a teenager who moved away after the mysterious disappearance of one of her classmates. She must confront both the enemies of the town and her own past, while maintaining the “cover identity” of her former self. The vision of this show is to create a highly entertaining family-friendly TV series with strong female characters. Our goal is that women of all ages (and the men who love them) can enjoy a show with drama, action, and romance without worrying about being surprised by profanity, sexual situations, or gratuitous graphic violence. The series is being produced and financed independently by the producers. Funding comes from the producers and from the support of fans via the Patreon crowdfunding platform. The show receives a portion of the advertising revenue from Amazon when episodes are viewed and we are seeking additional distribution after more episodes are produced. Has a great story with emotionally engaging characters and fun, clever plot twists that would be enjoyable for both adults and teens. To give local actors and crew within the local Virginia/DC/MD area opportunities to work on a nationally (and internationally) distributed show in meaningful roles. Our primary target audience is females 16 – 65 who prefer “family-friendly” entertainment. Specific niches within this audience include viewers with a faith-based preference and viewers connected with homeschooling, as our producer is a homeschool graduate and several of the characters in the ongoing series are portrayed as homeschooled kids. Brett Monk has been a Radio, TV and Film professional for over 30 years. He is the director and “showrunner” for the Mount Hideaway Mysteries series. He has acted, directed, and crewed in hundreds of productions over the years. He also planted a Non-denominational church where he served as Senior Pastor for 10 years. In addition to his film activities he co-owns a successful real estate business. He lives in Northern Virginia with his wife, daughter, and goldendoodle. Mikayla Leybovich is the producer and lead actor in the Mount Hideaway series. She is a homeschool graduate and started acting 3 years ago with the AMTC (Actors, Models, and Talent for Christ) program. She has continued her acting studies with private coaching and has appeared in several local productions. While Mount Hideaway is her first nationally-distributed project as a lead actor and producer, she excels in keeping the sets organized and giving the show a vision for family-friendly entertainment with strong female characters.